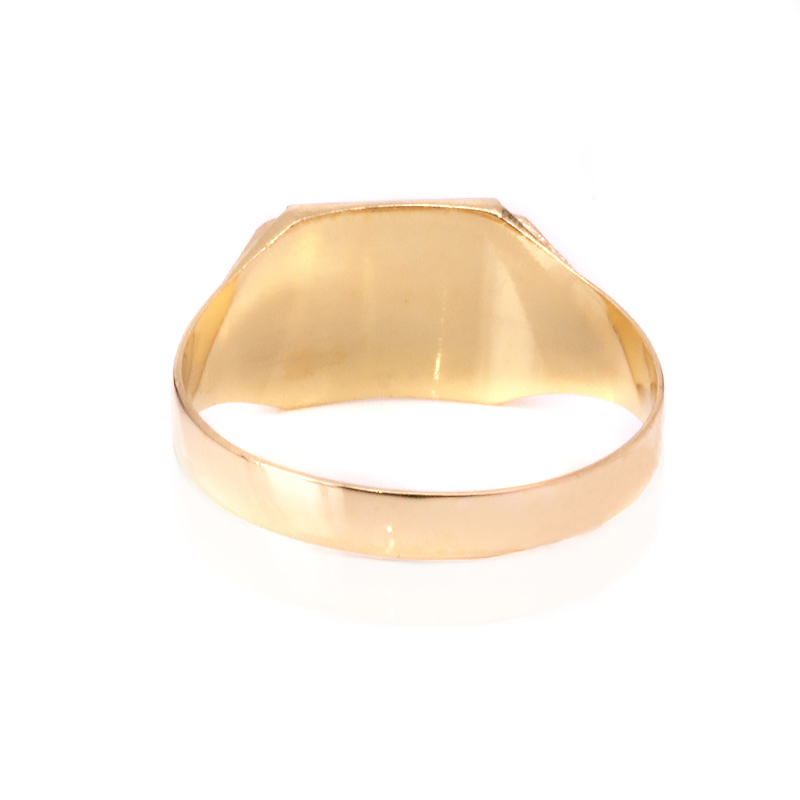 Product code: ES8113 Categories: Antique, Antique Signet Rings, Modern & Retro Jewellery, Retro Rings. Just look at the design of this Retro era 18 carat rose, yellow and white gold signet ring and see how the angular lines and combination of three colours of gold works so well. 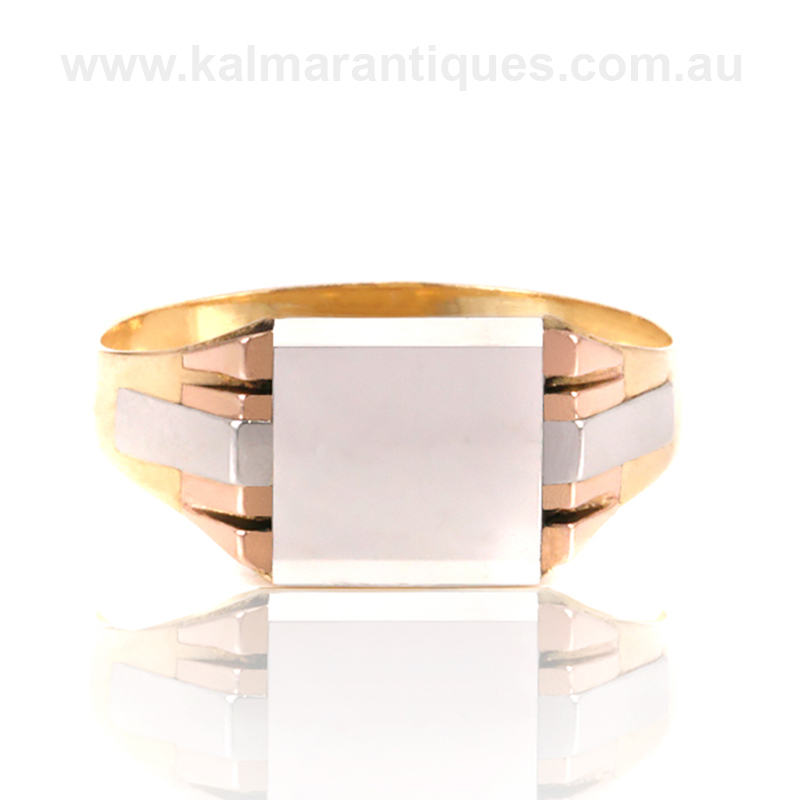 Made in France in the 1940’s, this design of this signet ring is just amazing and looks incredible on the finger. With the top white gold section measuring 9.2mm by 10.1mm, the side has those incredible rose and white gold sections that lead to the yellow gold band. This is such a stylish signet ring that has such a unique look and charm that is destined to always be admired every time that it is seen. This is the epitome of Retro jewellery, with its strong bold lines, yet still in a style that has so much character and elegance and is truly a one off. Signet rings go as far back to ancient Egypt over 4,000 years ago, and use of the term “signet” or “seal”, is from the Latin “sigillum” (seal), diminutive of signum (sign) and dates back at least to the second half of the thirteenth century. This antique signet ring is set hand engraved on the sides.